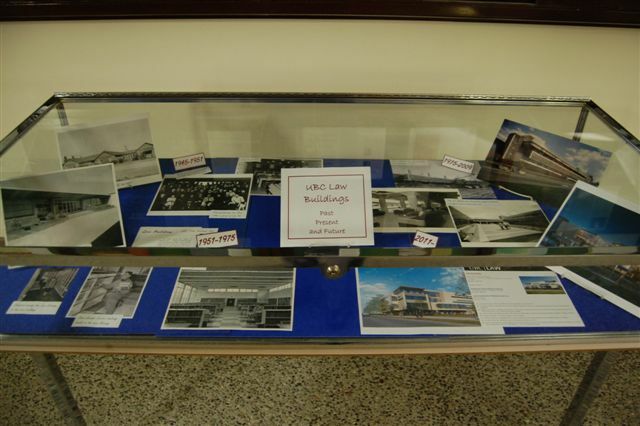 There is a new display in foyer of the Law Library, which features photographs of the original army huts through to a rendering of the 2011 home of the Law School. There are people wearing suits while researching in the library with books – not a computer in sight, a student with mutton chops lounging in the bright and pristine interaction area of the current building, and Dean Curtis and students hauling and shelving arm loads of books from the huts to their new home in the north-facing reading room of the 1951 building. You can view it during Law Library hours. September 10th, 2009 by | Comments Off on Open Access week! Open Access week is Oct 19-23, 2009. UBC has joined SPARC (Scholarly Publishing and Academic Resources Coalition), the Public Library of Science (PLoS), The Students for Free Culture, OASIS (the Open Access Scholarly Information Sourcebook), Open Access Directory (OAD) and eIFL.net (Electronic Information for Libraries), and over 200 institutions worldwide in the First International Open Access Week. What is Open Access? Open Access is a growing international movement that uses the Internet to throw open the locked doors that once hid knowledge. It encourages the unrestricted sharing of research results with everyone, everywhere, for the advancement and enjoyment of science and society. Open Access is the principle that all research should be freely accessible online, immediately after publication, and it’s gaining ever more momentum around the world as research funders and policy makers throw their weight behind it. (From: http://www.openaccessweek.org/about-the-oa-movement). To help us celebrate this event we are programming a series of events and distinguished speakers in our community who will be describing how they participate in the open access movement. Posted in Uncategorized | Comments Off on Open Access week!